- Oleksandr Tkach graduated in Microelectronics and Semiconductor Devices by the National Technical University of Ukraine “Kyiv Polytechnic Institute” in June 1999, investigating nanocrystalline silicon for optoelectronic applications. In September 2005 he got his Ph.D. in Materials Science and Engineering from the University of Aveiro, Portugal, working on strontium titanate based ceramics for tunable device applications. This was followed by a 1.5 year post-doctoral fellow in the same group, including participation in European Network of Excellence FAME (2006-2008) and EU FP6 STREP project MULTICERAL (multiferroics preparation). Since June 2007 Dr. Tkach has been post-doctoral fellow by Portuguese Foundation for Science and Technology (FCT) in University of Porto, Portugal, working on alkali tantalates and other perovskite ceramics and thin films, participating as well in a bilateral Portugal / Germany - GRICES / DAAD project (2008) and 2 FCT projects (2008-2012). In December 2012, he got post-doc contract at the Johannes Gutenberg University of Mainz, Germany, within EU FP7 project IFOX, investigating artificial multiferroic heterostructures and contributing to the photoemission-electron-microscopy synchrotron beam-times. 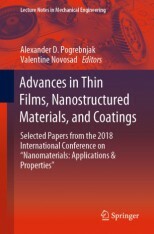 In February 2014 Dr. Tkach was promoted to Auxiliary Researcher position at the University of Aveiro, CICECO, coordinating FCT Independent Researcher Starting Grant “Multifunctional all-oxide nanostructures for electronic applications”, participating in European COST action MP1308 TO-BE (2014-2018) and 2 FCT projects (2018-2019), as well as gaining a membership in the European Ceramic Society (2017) and in Editorial board of International Journal of Materials Science and Applications, Science Publishing Group (2018), editing also a book on SrTiO3 for Nova Science Publishers (2018-2019). - Oleksandr (Alexander) Tkach has publication profile containing 1 edited book, 5 book chapters and 75 papers published or accepted for publication in SCI journals and proceedings, including Nature Physics, Advanced Functional Materials, Chemistry of Materials, Physical Review Letters and Carbon, with over 1,100 citations (h-index 21), according to Scopus (Author ID: 7006368460) and Web of Science (search parameters Author: Tkach A and Address: Aveiro or Mainz). According to Google Scholar (profile Alexander Tkach), there are over 1350 citations with h-index of 22. From 31 publications by Dr. Tkach in the top quartile JCR SCI journals in their areas, 6 papers are published in the highest IF journal of specific area Materials Science - Ceramics (Journal of the European Ceramics Society) and 5 in the area Metallurgy and Metallurgical Engineering (Acta Materialia), while 1 more publication was done in the second highest IF journal of the area Multidisciplinary Physics (Nature Physics). 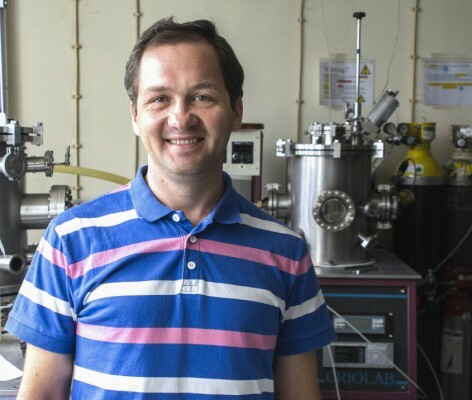 The main fields of his research are related to strontium titanate-based materials (50 papers, 4 chapters and PhD thesis), alkali tantalates and niobates (11 papers and 1 book chapter), magnetoelectric heterostructures (10 papers) and graphene oxide derived materials (4 papers). He has coordinated 2 post-docs and (co-)supervised 4 Master students. He has accepted 4 offers to give invited talks at international conferences and was an organizing committee member of 3 scientific meetings, crowned by VIII International Symposium on Materials “MATERIAIS 2017” with ~400 participants. He has been a referee for 23 leading journals in Materials Science, Physics and Chemistry, from Ferroelectrics to Advanced Materials. 2015, NATURE PHYSICS, 11, 9, 761-766. 2015, JOURNAL OF MATERIALS SCIENCE, 50, 9, 3425-3433. 2015, PHYSICAL CHEMISTRY CHEMICAL PHYSICS, 17, 37, 24403-24411. 2015, CRYSTAL GROWTH & DESIGN, 15, 3, 1289-1294. 2015, MATERIALS TODAY-PROCEEDINGS, 2, 1, 383-388. 2014, FERROELECTRICS, 465, 1, 44-53. Comment on "The Origin of Magnetism in Mn-Doped SrTiO3"
2013, ADVANCED FUNCTIONAL MATERIALS, 23, 18, 2229-2230. 2019, 331-342. Springer Nature Singapore Pte Ltd..
2016, 337-283. John Wiley & Sons, Inc.